This posting is a tribute to late Prof. Yu. A. Zuev, who passed away on December, 5, 2006. Yu. A. Zuev produced numerous translations of the Chinese annalistic chronicles, intense scientific research of the history, culture, and socio-political life of medieval Türkic and non-Türkic peoples, and made outstanding contributions to Türkology and Iranology. Prof. Yu. A. Zuev specialty was in the ancient Chinese, Middle Chinese, and modern Chinese language, learned under a guru of the Chinese philology S. Ya. Yahontov, that made him a unique expert with a first-hand knowledge of the sources. His superb knowledge of the sources allowed Prof. Yu. A. Zuev to delve into related fields of history and ethnography with unequalled depth and competence. This book is his life-long hallmark, Yu. A. Zuev brought to light, or confirmed research of his predecessors, following the development the ancient Hun society into a constellation of scion offshoots, each with its unique history and its place in the evolving world. The Hunnish socio-ideological thought and milieu that defined its society determined the subsequent fates of its descendents and their role in the global history. The 2002 book builds on the studies first published starting from 1957. Most of the Yu. Zuev book refers to the records and events of the Early Middle Age period, between 160 BC and 850 AD. The events are fairly well known from the Chinese, western and Muslim historians. A comprehensive and detailed history of Early Middle age Türks rising from the ancient Huns still awaits its author. Translator's notes and explanations, where embedded in the author's text and not denoted specifically, are shown in blue. Some special characters may not display correctly, and are either substituted by Latin letters, or duplicated in Latin letters shown in blue: γuən/guan, with Greek “gamma" rendered as “g”, various diacritical “i" rendered as “i”, and “ə" and various diacritical “a" rendered as “a”. Where it appears that simplification infringes on semantic meaning, the author's transcriptions are reproduced more accurately. The author's text can be verified in pdf format reproduction in Russian. Where the author chose to translate place names to Russian, the Translator gives its English translation, for example Türkic “ak" => Russian “beliy" = English “white”. Page numbers are shown at the beginning of the page. Translator has added some subdivision headings shown in blue. An idea that come from ancient mythological tradition about the origins of the people in the days of a birth of its genealogical primogenitor had existed in the historical science, and fairly widely continue its existence today. This idea is faulty in many respects, first of all because it was always created and cultivated by a dominating (dynastic) group, and at best it reflected its own genealogical myth, which at times has no relation to the previous history of a subject people or tribe. Numerous examples illustrate that. The known version of the the Mongol genealogical myth about the early history of Chingiz-khan's Kiyan (Kiyat) dynasty, preserved in the Rashid ad-Din work “Djami at-tavarih”, contains a complete the final history of the Kimek-Kiyan Oguzes from the river Argun valleys on the eastern slopes of the Great Khingan range, with ideological tradition ascending to Uechji (Pinyin Yuezhi‎). The ideological communes belong to the category of “great conservative forces”. They are less dynamic than ethnic categories, are not identical to them, and can be preserved even with a change in the ethno-linguistical layer. The last factor is a distinctive feature of the people history in the Central Asia and all Eurasian region. The overwhelming majority of early tribal confederations in the Central Asia was poly-ethnical. The dominating position of a large ruling tribe within such confederations made its language prestigious: in it were given orders, it was a language of annual conventions “to count people and cattle”, etc. Generally, it was a language of intertribal communication. Its role was considerably amplified in case of a conquest of such confederation by newcomer people, which in itself creates a situation most favorable to speeding up of this process. But also possible is another outcome: assimilation by a local ethno-linguistical substratum of the newcomer super-stratum, which is giving a new name both to the conquered people, and to its language. Historical paradoxes connected with these processes are quite frequentl. Approximately in the 3rd century BC the queen of the large east - Iranian Uechji (Pinyin Yuezhi‎) tribe joined to her possessions a Tochar (Ch. Dasya) tribe living in the headwaters of the river Huanghe. Since then the “queen’s" tribe Uechji in the Chinese chronicles began to be called Da-Uechji ("Great Uechji”), and the Dasya-Tochars began to be called Syao-Uechji ("Lesser Uechji”). Together, they were simply called Uechji. The scholar and translator of the 5th century monk Kumaradjiva, translating Buddhist texts into Chinese language, translated the word Tochar as Chinese Uechji. In the middle of the 2nd century BC Uechji become a main force of the so-called “storm of the Bactria”. In turn, the ancient authors inform that the conquerors of Bactria were tribes Ases and Tochars. Bactria began to be called (by Chinese) Dasya country, i. e. Tocharistan, and the language of the inhabitants of that country began to be called “Tocharian”. The known orientalist, Danish scientist Stan Konov even named one of his works “Was “Tocharian" language really Tocharian?”. The Tochars of the Kidan (Kitan/Khitan) state in the Manchuria territory spoke proto-Mongolian language, the medieval Tochars (Dügers) in the future Turkmenia spoke Oguz, and the Tochars (Digors) in the Northern Caucasus spoke Alanian, i. e. in Sogdian-Türkic per Biruni. Meanwhile, their ideological traditions in many respects remained similar. This book is discussing continuity of ideological traditions. Chinese records about ancient Türkic genealogical legends document the previous history of the dynastic Ashina tribe (Hot. -Sak. -asseina “dark blue”, "blue”), which became dynasties in the First and Second Türkic Kaganates. Neither the name of the dynastic tribe, nor the names of the historical founders of the Türkic Kaganate, Bumyn and Eshtemi, are Türkic. I tried for years to explain this phenomenon by tabooing of Türkic sacral names, and their replacement with foreign language equivalents. This outwardly reasonable speculative conclusion was published a number of times, it did not bring printed or verbal disagreements, but yet no specific confirmation was found in written sources. "Pure" ethnoses do not exist. Turning to the early history of many peoples demonstrates that. Such fates are widely known. The Frenchmen received their name from the German tribe of Francs. The founders of Russian state, Scandinavians-Vikings (Normans) created Rürik dynasty in Kyiv and gave eastern Slavs a Scandinavian name Rus. The Middle Kingdom (Chjun go) also did not miss such a fortune , it was known, for example, under non-Chinese names of Tabgach and Kitai (proto-Mongolian, Cathay/Khithanian). For the Middle Kingdom, whose role in the history of the world culture in general, and the peoples of Eurasia in particular, is well-known, this phenomenon is especially typical. Influence of foreign factor in the history of China. The founders and dynasts of the China Chjou (Pinyin Zhou) state (11th century BC - 256 BC) are foreign tribes, the Han dynasty (Former Chjao, Pin. Han Zhao, 304-328) was established by the northern nomadic tribe Sünnu, the Later Chjao (Pin. 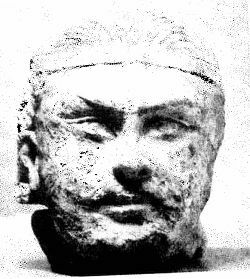 Later Zhao) dynasty (319-325) was established by the Tsiantszüy tribes, related to the Central Asian Kang, the dynasty of the Western Tsin (Pin. Western Jin) state (388-431) was Syanbi (Pin. Xianbei) (their language was proto-Türkic and proto-Mongolian), and the founders of the dynasty and state Former Yan (333-370) belonged to the tribe Mujun (from Amur and Manchuria). They also were dynasts in the Western Yan (384-394) and Southern Yan (398-410) states. The Southern Lian (Pin. Liang) state (397-414) was established by the Syanbi (Pin. Xianbei) from the Tufa tribe ("braid-weavers”, whose braids was considered to be a ladder to the Sky), and the Sya (Pin. Xia) state (407-431) was established by the Sünnu (Huns), the dynasts of the State of Dai (Northern Wei, 386-530) were Toba (Pin. Tuoba) Syanbi (Pin. Xianbei) (Tr. Tabgach), the dynasty Northern Tsi (Pin. Qi) (550-577) was Bohai (tribes of Far East), the dynasty of the state Later Tan (Pin. Tang) (923-956) was established by the Shato Türks (their western Chigil tribes), the state Liao (907-1125) was Kidanian (Pin. Khitanian), Tszin (Pin. Jin) (1115-1234) was Chjurdjen (Pin. Jurchen) state. The Yuan dynasty (1260-1404) was Mongolian, and Tsin (Pin. Qing) (1644-1911) was Manchurian. The testaments of similar nature doubtlessly have oral-historiographical (for example, genealogy-shejre) and literary significance, they are unique, but they cannot serve as unique reference points for ethnological research. In greater measure they are important for study of the process of emergence of statehood in different areas of the Central Asia. The ethnological research have and apply a number of other methods. Unfortunately, each of them is imperfect, is not also developed the methodology of the historical-ethnological sciences as a whole. The old Marxist definitions for the most key categories turned out to be unsound, and consequently were rejected, and new are not formulated yet. They are necessary for understanding such complex historical, ethnogenetic and ecological-geographical phenomenon as the Central Asian massive. Inextricably connected concepts of polito-genesis, ethnogenesis, culture-genesis, ideo-genesis are not always filled with specific contents and needed criteria. What are the unclear reasons for similarity (down to terminological) of the polyglot mythological systems separated by space and time. What is the chronological ceiling for the inertia of ideological continuity? Where passes a divide between the stages in the historical process and convergence? Even a small portion of these questions can't be answered within a framework of one, even a cleverest book, because the available written material is insignificantly small or inaccessible for the different reasons. In ancient annals and works at times are externally wasteful phrases and messages without direct relation to the text and seemingly without any significance. But a merciless censorship of millenniums does not allow anything insignificant to pass through its restrictive sieve. For example, Mahmud Kashgari tells a story, popular during his time (11th century), about a rain cloud beyond the Hodjent river, that pored streams of water, and created mud which became impassable for the Alexander the Great army. The legendary conqueror perplexedly exclaimed: “What kind of mud is that? We cannot get out of it!”, and ordered to erect there a building where Chigils settled down. On a closer examination it turns out that that that is a mnemonic-coded information about a first stage in the spread of the Manichaean religions in the Türkic world. Rising to the Light (the Country of Gods), the pure Manichaean soul is rinsed in a rain cloud, which washes off all terrestrial sin, and together with the rain they fall down and form mud. The dirt matter, a mixture of Light and Darkness, is that substance of which a terrestrial creature is made, and the “building" is a “school”, a prayer hall of young Manichaean monks. A part of such material, in logical sequence that makes sense for me, is described in this book. As a substrate (base), is chosen historical material accessible from written sources (mostly Chinese, they collected a systematic record of historical information about most ancient peoples in the north and west from the Great Chinese Wall ) about tribal “states”, Uechji, Usun and Kangju confederations, collected in the 1st section of the book. As transpired during years of research, Uechji and Usuns were not two different “state" confederations, but one from the beginning, with two ethnically different and opposing halves of a uniform cosmo-ideological complex “Sun - Moon”. It was a gynocratic state of a lunar clan Uechji (Uti, Ati, Asi), based on the maternal form of the community with a corresponding principle of inheritance, including dynastic. The crisis of this form has caused separation of the Usuns (As-mans) in the transition to the patriarchal form of the family. The gynocratic form of community was a “brother family" with the inheritance principle “senior brother - younger brother (from the same mother) - nephew (from a female line, the son of the senior brother)”, i. e. the principle of combining in the inheritance of the male and female lines. More detailed description of this form of family is given in the paragraph “Sogdak, Küngü, Tarban”, where is described a sharp crisis created by attempt to transition to solely patriarchal (Kagan) rule, which caused a civil war in Eastern Türkic Kaganate in the beginning of the 8th century. It also was a main reason for creation of opposing in their contents and objective large ancient Türkic runiform inscriptions in Mongolia. The pattern of the text and contents of the sections are driven by the idea of evident ideological continuity, traceable from the first written records about Uechji and Kangju tribes (2nd century BC). The sections about tribes or confederations which are ideological heirs were limited to a problem ideo-genesis research as a major components of culture genesis, they cannot be mistaken for ethnogenesis. The are only a study material for ethnogenetical studies. The main actors of the Uechji mythology, with partial preservation of the names, are encountered in the pantheons of Yantsai (Alans/Abzoya), Kypchaks, Türks-Oguzes and Türks-Ashtaks. The likely ideological successors of the Kangju (Kangha, Küngü, Kang, etc. ) “state"-confederation are the Kangits, Hanga-kishi, Azkishi, Imeks, Kangly. The substrate ethnopolitical base of the Türgesh Kaganate was Uechji-Kangju. The Türgesh Kaganate was a new state, and not a continuation of the Western Türkic Kaganate history. Such patterning of the material, not by a political, ethnic or another attribute, and only by a principle of ideological continuity, is not an end in itself and not a pursuit of originality, but a way to establish channels of ideological continuity from the last centuries B. C. to the new times. The second section of installments is named “Türkic Manichaeism”, I examine it as systematic compilation of material about introduction and spread of Manichaean world “religion of Light" in the Türkic Steppe in the 4th-10th centuries. Comparative ease and painless adoption of this theology clearly shows the important factor that it absorbed in its credo all rational contents of the local cults. In a number of cases the Manichaean religion benefited from formal similarity of the local cult with the Manichaean theology. For example, the originally Uechji views about Moon, Milky Way (Tree of Life) and Dragon were temptingly beneficial for the conclusion about their similarity with the Manichaean symbols. At the beginning, Manichaean preachers were trading Sogdians, the main operators on the Great Silk Road, which numerous routes covered the whole continent, up to Pacific Ocean coast. Trade aided religious preaching, and religious preaching became a reliable aide for traders. Adoption of Manichaeism by the leading layer of the majority of Türkic tribes meant their joining the economic and cultural connections of the continent. Some observations of this book have been published, they were noted in scientific and periodical publications. The scientist of the NAN Institute of Oriental Studies K. U. Torlanbaeva rendered a great assistance gathering literature for the theme, in textual work, and by writing some sections of the book. Highly skilled technical participation in the preparation of the manuscript for printing was done by the staff of the publishing house “Daik-Press”. The initiative in composing this book belongs to the director of NAN Institute of Oriental Studies, professor М. X. Abuseitova, without whose assistance it could not be published. Taking an opportunity, I bring my sincere gratitude and gratefulness. I shall be especially grateful to the reader who, taking this small book, will read it to last page without thinking that he have wasted his time. Technical note. This book is based on the records contained in the Chinese written sources. Index C in the book designates the large Chinese-Russian dictionary in Russian graphic system in four volumes, composed by a collective of Sinologists lead by and edited by professor I. M. Oshanin, published in Moscow in 1983-1984. The numbers following it are the of dictionary nest numbers. They are followed by a transcription of modern phonics of the hieroglyphs from that dictionary. The Latin letters in brackets give their Middle Chinese phonics following Karlgren В. Grammata Serica Recensa. Reprinted from the Museum of Far Eastern Antiquities, Bulletin 29. Stockholm, 1957. Prior to the end of the 3rd century BC, the dominating force in the eastern part of Eurasia was the “state" confederation of nomadic and semi-nomadic tribes dominated by Uechji (Pinyin Yuezhi‎) tribe . The borders of this confederation can be outlined only conditionally. From the vague records of the later time, its southeast limits were at the left bank of the river Huang He from the headwaters before the northern bend to the south. The border further went to the north, covering western and eastern slopes of the Great Khingan. At the northern extremity it turned to the west, from Northern Mongolia and Southern Baikal area to the Sayano-Altai mountains. It included tribes of different origin, various languages and anthropological type, and non-uniform cultural and economic conditions. The native territories of the Uechji were lands from the Nan Shans mountains in the south to the Altai in the north. In Altai, the memory of Uechjies (Pinyin Yuezhi‎) survived as a group of Pazyryk kurgans with fabulous funeral inventory, which remains for decades a research subject for different scientific specialties. Chronologically, the first of them are dated by the 5th century BC (A Yu. Alekseev et al. C14 dating testifies to much earlier period - Translator's Note). The arrival of Uechjies in this region, according to linguists, belongs to the period not later than 7th-6th centuries BC. Other scientists, deeming them Tochars and from the archaism of the many elements in the monument language of the Tocharian writings (end of the 1st millennium AD) in the Eastern Turkestan, are inclined to date the beginning of their movement from the Asia Minor to the east by the 2nd millennium BC. The presence of Tochars explains the sharp change in quality in the art of Bronze Epoch, and introduction of wheeled transport in China during the In epoch (13th-11th centuries BC). The presence of Tochars also explains the arrival in China of a foreign goddess cult “Mother-queen of the West" (Ch. Si-van-mu), who lived on the top of the Kuenlun mountains. Anthropologically (Fig. 1), the Pazyrian Uechjies were predominantly Europoids. Central Asian Mongoloids were a minority. The Sünnu (Huns) tribes, thought of as Mongoloid racial type, started to consolidate and threaten the borders of China, being in political dependence from Uechji. How this dependence was expressed is not known. The annals only inform about a system of hostages from the dependent tribes at the horde of the Uechji ruler. Such hostage was Maodun, a son of the first Sünnu tribal ruler Touman. Chronicler explains the reason for sending Maodun to Uechji: Touman-shanyu did not want his son Maodun to inherit him, and possess the throne of the Shanyu supreme ruler. He wanted another son from another wife, whom he loved, to be his successor. To frastrate the Maodun's claims to the throne, he send him to Uechji, and immediately declared a war, certain that his heir son will be killed. During a battle Maodun came back to the Sünnu, killed his father, and declared himself a Shanyu [Sima Qian, ch. 110, p. 1032-1033, f. 7b-8а, Taskin, 1968, p. 38]. Only this text tells about Touman attack against Uechji, but it could have never been recorded. It is also known that to create a visible legitimacy for his right to the throne, Maodun, after the murder of his father, married his “mothers”, i. e. Touman wives [Sima Qian, ch. 99, p. 965, f. 4а]. The sequence of causes and effects in the succession acts raises doubts, because it is more suitable for a minstrel than for an annalistic report of these events. The essence of the events is that the son had no right to direct succession to his father by taking over the supreme throne. “Between Huns, - wrote N. Ya. Bichurin, - the throne was predominantly transferred to the first brothers, and to the nephews from the first brothers" [Bichurin, 1, p. 99, note 2]. Only in the 201 BC Maodun-shanyu, after victories over the “eastern barbarians" (Dunhu, Pin. Dongye/Dongyi), dared “to attack Uechji in the west and to expel them”. Under Maodun, the Sünnu became unprecedentedly strong, subdued all “northern barbarians”, and formed a state in the south, “equal in strength to the Middle State”. In 25 years (176 BC) Maodun proudly informed emperor Han: ”. . . Due to the favor of the Sky, the commanders and soldiers were in sound condition, and the horses were strong, which allowed me to destroy Uechji, who were exterminated or surrendered. I [also] pacified Loulan, Usun (Pin. Wusun), Hutsze and other 26 neighboring possessions, which all began to belong to Sünnu" [Sima Qian, ch. 110, p. 1035-1036, f. 13b-14а, Taskin, 1968, p. 43]. In 127 years (in 49 BC) the annalistic description about conclusion of an oath declaration between Sünnu and Han attributed this victory to Laoshan: “Using the skull of the defeated by Laoshan-shanyu Uechji ruler as a bowl, they drunk wine as a token of conclusion of alliance bonded by blood" [Ban Gu, ch. 946, p. 1131, f. 6a-b, Taskin, 1973, p. 38]. The horse bridle of the Uechji soldier from Pazyryk was decorated with ornaments embossed with images of fallen enemies, the Sünnu Mongoloids (Fig. 2). Now the Sünnu drank from a skull of the killed Uechji leader the oath wine with blood of a sacrificial white horse mixed with a gold spoon [Klyashtorny, Savinov, 1998, p. 169-171]. After that, there was no Uechji “empire" any more. 2 - Sünnu images of from funeral complex Ho Tsüibin (Southern Altai). Probably, the tragical defeat of those years should be viewed as a reason for Uechji tribes mass migration to the west. But the migration was not universal. A significant part of the Uechji remained in their former places in their main territory and in the northern belt, but in reference to them the ethnonym Uechji was not mentioned any more. For Sünnu, the defeat and conquest of the nomadic neighbor did not mean occupation of the new territory, but an one time robbery (first of all cattle and women), and establishment of tribute relations, with inclusion of the defeated army in their army, a presence of the defeated leader at the annual assembly for “accounting of people and cattle”, and acceptance of the politonym Sünnu. In case of external danger, the last could serve as a reliable shield, but it is a barrier for a modern researcher, who could presume as Sünnic all ethnocultural complexes from Khingan to Nanshan. We shall give a telling example. In 7 BC imperial court concocted a plan: under a far-fetched pretext of “border alignment" to capture from Sünnu all the Uechji fertile lands with a center in Chan-an. Shanuy responded: “On these lands lives a [borderguard] ruler Outo from a Ven (Hvar) tribe, and I do not know neither their setting, nor what they produce. Let me send a courier to find out about it”. After receiving report, he responded to the Hans: “I learned from the [borderguard] ruler Outo of the tribe Hvar (Ch. Ven) that all Sünnu (i. e Uechji) princes who live in the west make yurts and carts out of the wood from the mountains in these lands, and these are the lands of his fathers, and he does not dare to lose them" [Ban Gu, ch. 94b, p. 1134, f. 136-435, f. 14а, compare Taskin, 1973, p. 46]. The quoted lines give sufficient idea about the vassalage relations. In this case they are limited to the “outo" concept, meaning a duty to be a “sentry" and a barrier on the frontier, and a participation in the military operations of the suzerain. In the eyes of the Shanyues, the Uechji were and remained a “small state on the western border of Sünnu”. Chjan Tsian (aka Zhang Qian). The union was a main military threat to the Han empire, and the imperial court relentlessly searched for an ally to fight against Sünnu. In this struggle it viewed Uechji as potential allies. Chjan Tsian was sent with an intent to conclude a union with them, he left Lunsi on the eastern edge of the Gansu province, but he went not to the west, but to the north. The supreme ruler Tszjunchen-shanyu, interrogating the immediately captured Han ambassador, told him: “Uechji are north of us. How can Han send an ambassador through our country? If we wanted to send a currier to the Üe (far south in relation to Han), would Han allow us to do that?" [Ban Gu, ch. 61, p. 749, f. 16, Kryukov, 1988, p. 240]. Certainly, this is a Chinese interpretation of interrogation re-told by Chjan Tsian, but its sense is unequivocal: he went to the north. Chjan Tsian stayed in captivity for10 years. He settled, married and had a son, but did not forget the purpose of his trip, and saved the ambassadorial bunchuk (symbol of power, a staff with horse hair on the top - Translator's Note). When he had a chance, he fled, and continued his trip started a decade ago. His route went by the Northern road through Terekdavan pass to Fergana valley (Ch. Davan, Daiuan), and the to Kangh (Ch. Kangju) and, at last, to Bactria, where at that time already lived the escaped Uechji. He already knew their history, learned during his life with the Sünnu. This knowledge reflected the Sünnu vision of the past, a vision of the victor. Returning home after twelve - thirteen years, he reported in detail about everything he had seen, and about the unwillingness of the Middle Asian Uechji to oppose Sünnu. About the Usun state, which was away from his route, he said: “Living among Sünnu, your servant heard that Usun king is called Hunmo. The father of Hunmo, by a name Nandou-mi, in the beginning lived together with Great Uechji between the Tsilyan (Qilian) mountains and Dunhuan, they constituted a small state. Great Uechji attacked and killed Nandou-mi and captured his lands, and his people fled to Sünnu. His son Hunmo was just born, and tutor Butszju-sihou fled with a baby in his hands. He laid him in the grass and went to search for food. Upon return, he saw that a she-wolf feeds [the baby] with milk, and the raven with meat in its beak flies beside. Deciding that [the boy] is divine, he took him and returned to Sünnu. has grown fond [of Hunmo], and brought him up. When [Hunmo] has grown up, Shanuy gave him the people of his father, and sent him to lead an army. A few times [Hunmo] was successful. At that time the Great Uechji, already defeated by Sünnu [armies], attacked in the west the king [of the people] Se (Saka) which fled south and migrated to the far away lands. Uechji began to live on his lands. Hunmo was in a prime of life, and asked for Shanyu permission to revenge his father. And then in the west he attacked and defeated Great Uechji. The Great Uechji again fled to the west and migrated to the Dasya (Bactria) lands. Hunmo seized his people and settled there, [then] his army grew. And when Shanyu died, he did not want to serve the Sünnu [shanyues] dynasty any more. Sünnu sent an army against Usuns, but was unsuccessful: thinking that he is divine, the army left. Nowadays, the Shanyu has new difficulties in relations with the Han, and the [former] Hunmo lands are empty. The barbarians dream about returning to their former lands, and, besides, are eager for the Han's goods. If to take advantage of the situation, ingratiate Usuns with generous presents, we will convince them to move east to resettle on the former lands of Hunmo. [After that] we shall send a princess, and establish brotherly relations. We would begin patronizing them, and they will obey. Doing that, we shall chop off the right hand (i. e. the right wing, the Western territory) of Sünnu “[Ban Gu, ch. 61, p. 750, f. 4а-í, Kryukov, 1988, p. 232, 227-228]. The text of the Biography of Chjan Tsian is a fundament for the earliest stage of the Uechji -Usun relations. This Biography is placed in the Chapter 61 of the “History of Han dynasty”, it formed a canvas for reconstruction of the Narration about Davan in the “Historical notes”, lost soon after the death of Sima Qian [Kryukov, 1988, p. 229-230]. Reconstruction of the lost text was made with errors and changes that altered their meaning. For example, the words “Great Uechji attacked and killed Nandou-mi" were changed to “Sünnu attacked and killed his father" [Sima Qian, ch. 123, p. 1140, f. 9b]. This replacement, as will be shown, completely distorts the picture of internal relations in the lunar-solar rule of the Uechji and Usun state. The reader without access to the Chinese original is limited to the distorted text [see Bichurin, 2, p. 155], and thinks that the subject is an attack of Sünnu against Usuns. The words “Hunmo's father by the name Nandou-mi in the beginning (or: “initially”, "in the root”, ch. ben) lived together with Great Uechji between Tsilyan (Qilian) mountains and Dunhuan, they constituted a small state" are changed unrecognizably: “Father of [this] Hunmo was [a leader] of a small state on the western border of Sünnu “(compare Bichurin: “Father of this Gunmo had a small possession on Hunnu western limits”). The words “Butszju-sihou fled with a baby in his hands. He laid him in the grass and went to search for food. Upon return, he saw that a she-wolf feeds [the baby] with milk, and the raven with meat in its beak flies beside. " are changed to: “Hunmo stopped in a field. The raven flew above him with meat in its beak, she-wolf fed him with its milk" (compare Bichurin: “Gunmo, just born, was abandoned in a field. Birds pecked insects from his body, she-wolf came to feed him with its milk”). There is also an obvious error in the text of the legend, because of the Sünnu being a source of the story. The military actions of the listless Usuns, with only one remaining representative brought up at the Shanyu court, are credited with exaggerated great role in the events that cardinally changed ethno-political map of a huge region. D. Sinor, who investigated this story, wrote: “Studying Usun history probably presents more problems than solutions" [Sinor, 1982, p. 239]. Nevertheless, the story of Chjan Tsian can be viewed as a valuable and the only source of non-Han origin for the study of the dim period in the history of Central Asia. Chinese transcription С5845, 11435 Uechji (<*ngiwat-tie) transcribes the sound of the the foreign term *uti/oti/*ati. It also has a semantic sense. The hieroglyph С5845 jue means “Moon, female force In, wife, queen”. The term Uechji means “clan of the Moon”. Such understanding of hieroglyphs in the transcription of Uechji is confirmed by a constant epithet “Moon" (Sanskrit candra, canda, Iranian mah) in the name of the king Kanishka of the Uechji - Kushan state [Maenchen-Helfen, 1945, p. 80]. One of the earlier transcriptions is С4056, 11435 nüchji (<ngiu-tie <*uti ~*oti) “clan of the bull”, i. e. “clan of the bicorn (rising) moon, crescent”. Such interpretation is justified by the words from Iranian “Vendidad" (Ch. 21): “Ascend, rise crescent, - you, which gestate a bull”. A part of this tribe in the northeastern corner of Ordos, and further northeast from it, had a name Üychji (< ngiou-tie < *uti) “clan of greenstone/jasper”, a symbol of the Moon. These hieroglyphic versions reflect pronunciation uti and contain information about the main ethnographic feature of this tribe: it is a “clan of the Moon”, i. e. clan of Queen-Woman. The Uechji go name in the sources means not only the “Uechji state”, but also the “Queen-Woman state”, ginetocratic state. In this light, the words of the chronicler are indicative: “When the king of Great Uechji was killed by the Huses (Sünnu, 176 BC), his spouse became a queen. She conquered Dasya (Bactria) and ruled it" [Ban Gu, ch. 61, p. 749, f. 1b-2а]. The native lands of Uechji were “between Tsilyan (Qilian) mountains and Dunhuan”. "Lianchjou, Ganjou, Sujou, Guachjou, Shachjou and other districts are the Uechji state lands”, explained one of the comments [Sima Qian, ch. 123, p. 1136, f. 1а]. On their southeast border was С8414, 10754 Dasya (<*da-γa) area. The hieroglyph С10754 in the toponym could reflect hara [Gertsenberg, 1981, p. 237], this allows reconstruction of the reading as dahara. This name was subsequently transferred on Bactria, conquered by Uechji tribes, as Tocharistan (Ch. Dasya). In the 10th century in these territories was created a Tangut state Si Sya, thought of as a restored state of the ancient Dasya. It was called: Bo Gao Dasya go “White and High state Dasya (Tochar)" [Kychanov, 1968, p. 54-55]. Hence, in the transcription of Dasya is justified to see the initial Tochar. Ptolemy (VI, 16, here and below following Stevenson, 1932) in the description of a trade road mentions a tribe Tagur and a city Togara at the end of a trade road to the country of Sers [Roerich, 1963, p. 121-122], probably identical with the Dasya district [Ban Gu, ch. 28b, p. 406, f. (а)]. It was located on the homonymous river, a tributary of Taohe, flowing into Huang He. This area was a part of the Uechji state [Lu Imou, 1924, Huan Venbi, 1950]. In the east it was reflected in the binomial ethnonym Ottorocora (<*ot+torcora, compare Khot. -Sak. Taudakara, Tib. Thod-kar), mentioned in the same part of the Ptolemy work. Reflecting the process of Uechji migration to the west, in the Chapter XII (Sogdiana. The seventh map of Asia), in northern part of the Yaksart section (according to S. P. Tolstov, it is Kuvandarya, a left tributary of Syr-Darya) he places a tribe Yati and Takhor (Tachori), and in the Chapter XI (Bactriana. The seventh map of Asia) he places “Tochars (Tochari) - a large people" (Ch. Dasya). The problem of equating Bactrian Dasya-Tochars was resolved by G. Haloun [Haloun, 1937, p. 290]. Strabo (XI, VII, 21) wrote that Bactria was captured by the Ases, Pasians (i. e. Ases or Asians), Tochors and Sakarauls (i. e. Sakarauks) tribes, who came from Yaksart. Pompeus Trogus (1st century BC) in the extractions of Justin (1st century AD) names the conquerors of Bactria and Sogdiana Sa(ka)rauks and Asians, belonging to the Scythian tribes. The Asians were “kings of Tochars" (reges Thocarorum Asiani) [by: Umnyakov, 1940, p. 182-183]. The Scythian term “Asian” finds correspondence in the “Atian” of Pliny, who also knew the tribe of Attacori west from Funs (Huns) and Focars (Tochars) [Piankov, 1988, p. 192]. Advising on plausibility of transposition -t-//-s in the words Asian/Atian, prof. V. I. Abaev wrote: “In the Ossetic the Iranian “s' corresponds with “t": forot “axe" (Ir. *parasu-), roton “rope" (Ir. *rasana) and talm, a name of a tree (Ir. *salmi-). So, the transposition as-//at- for ancient Iranian period is admissible and logical”. This allows to deem as cequivalent the terms Ot-/At-/As-/Asi, and in the Atian/Asian to see a plural form of Ati, Asi. The Chinese appelation Uechji corresponded with Uttorocora/Attocar, it was common for Ases and Tochars in the east and in the west. The term Az continued its existence in the Türgesh time. Tamga as a bow (symbol of a rising moon) is found on the coins found in the excavations in the Chu river valley [Kyzlasov, 1960, p. 196, 209]. Precisely the same tamga have the Kirgiz tribes Azyk and Bugu ("Bull”). It was called jaa-tamga “bow-tamga" [Abramzon, 1971, p. 39]. We do not have direct reports about the throne succession system, reflecting the status of family and community in the Uechji union. Only a record exists that among the small Uechji the names of the tribes are given by the names of the mothers [Fan E, ch. 87, p. 1305, f. 39b]. However, a constant presence in the dynastic co-rule of the “clan of the Sun-Raven" shows that the family unit ceased to be solely matriarchal, it was in the first phase in the transition to the patriarchal period, when in the head of the family was a queen, and her spouse was not an “Olympic hero" from the outside, but a representative of the firmly established paternal (solar-royal) clan. With a large degree of conjecture such community condition can be defined as “sisterly”, where the inheritance is passed by the line “matron - younger sister - niece (daughter of matron)" with a participation of a traditional fatherly clan by the same scheme, but on the second plane. This scheme is reconstructed as some “anti-similarity" of the following and more documented phase, which the author of these lines (after Ü. V. Bromley) calls “brotherly family”, a direct progenitor of the patriarchal family described below. Development of productive forces and escalating (especially military) role of the man in a society and family resulted that the fatherly clan structures became confined by gynocratic limits. The conflict was inevitable. It can be thought that its result was the murder of Nandou-mi and separation of the Asmans (Usun). With the same hieroglyphs “Han shu" spelled the name of the Nandou-mi state on the river Gilgit (a tributary of Indus in Northern Pakistan), which was bordering in the west with the Great Uechji of the Bactria, hardly a simple coincidence [Ban Gu, ch. 96а, p. 1160, f. 10а, Malyavkin, 1989, p. 95-96, 294]. 2 millenniums ago “Usun” sounded *ah-sman < *asman, and the “Asman” was an Iranian word meaning “sky”, the modern phonetics of the “Usun” is a modern pronunciation of the hieroglyphs С7696, 4412 烏孫. The annals also contain the Chinese translation of this term. Around 107 BC, a Han emperor sent to the Usun (Asman) country a princess to marry the Usun ruler. She was young, and the ruler was old. They met once-twice a year, she was bored, and she composed a song that began with the words: “Gave my relatives me out to the Sky (Tian) country" [Ban Gu, ch. 966, p. 1167, f. 3a]. And a second attestation, in China the Usun horses (Ch. Usun ma) were called heavenly horses (Ch. Tian ma) [Sima Qian, ch. 123, p. 1142, f. 12а, Tszyan Botszan, et al. Lidai. . . , I, p. 42]. Ptolemy (177 AD) knew a tribe with such name (Asman). During his time it was located to the east from Ra-Itil-Volga (VI, 14). The hieroglyphic etymology of “u-sun”, noted by P. Daffina [Daffina, 1969, p. 145, note 6], has a meaning “Descendants of Raven”. The meaning of these hieroglyphs is significant, the mythological image of the Raven is far from trivial. In ancient India raven was held as a senior brother of Garuda, the Eagle. As the story goes, two birdie embryos grew for some thousands years in a belly of one of the gods (different names are mentioned). Only an eternal night existed then, and the day had yet to be created. One of the embryos eagerly dreamed about meeting a first sunrise, and begged the god to let him out from the belly, even though till its birth remained another thousand years. And the god took pity. And the embryo left underdeveloped, and in the rays of the rising morning Sun its plumage looked red. And he was named: Aruna, which means Red. It was a Raven. He became a driver in the Sun chariot, and a symbol of the morning dawn. And the other embryo left in time, one thousand years after the Raven, and went at once in search for bloody food. It was Eagle, he was named Garuda. He became a king of birds, like Indra is a king of all gods [Erman, Temkin, 1957, p. 54-56, 209]. In ancient China the Raven U or Chi-u ("Red Raven ”)was a personification of the sun. According to the most ancient myths, in the beginning ten suns were in the Sky, and the heat was crushing. To get rid of it, was called a Hunter. The hunter Hou-i came to a plaza, pulled a bow, and sent a white arrow into the flaming ball in the Sky. In an instant the ball burst and fell down, shedding gold feathers. Something sparkling fell to the ground. People run up and saw a huge Gold raven, pierced with the arrow. It was one of the Suns [Yuan Ke, 1987, p. 143, Yanshina, 1984, p. 43]. The paleo-Asian peoples of Amur, Indians of Northern America, Chukchis, Sakha Yakuts, etc. connected it with light and fire [Meletinsky, 1992, p. 245-247]. The myth about connection of the Raven with the Sun was known to the Crimean Tatars. “The Raven, so big that when he flies, sun eclipse happens, is marrying the younger daughter of king. When her younger brother needed to find a daughter of the Sun, the Raven collected his subject birds, and one of them helped the prince to find the daughter of the Sun “[Potanin, 1894, p. 725, Dyrenkova, 1929, p. 125]. The documents of the 17th-18th centuries from Shoria recorded ulus Kyzyl Karga - “Red Raven”. Among the Shors was a seok (clan) Kyzyl Karga. Some of them in the past migrated to the valleys Esi and Tei, separating into seoks Sug- Karga (Water Karga) and Tag-Karga (Mountain Karga). During separation, they disputed the division of eagle feathers, instead of raven feathers, [Potapov, 1969, p. 132, Kimeev, 1986, p. 48]. In an episode from the Mongolian annals, a Kongrat Dai-Sechen addresses his brother-in-law Kiyat-Bordjigin Esukei: “Last night I saw in a dream that instead of a krechet (hawk) I hold a raven, representing a tamga (sulde) of the clan Kiot (Kiyat), from the Bordjigin family" [Gomboev, 1858, p. 124, Abramzon, 1971, p. 356]. In 647 Western Türkic Kagan from the Ashina tribe presented to the Tan emperor a Golden Raven as a gift. They carved a “feathery creature out of wood and plated it with gold" [Van Tsinjo, ch. 970, p. 1140, f. 12а]. Arrival in China of certain raven-like birds heralded an invasion of Türks. This bird was contemptuously called “hoofcie" (Syrrhapta paradoxus) or “Türkic birdie”. But the respective article in “Tai-pin guan tszi" encyclopedia is called “Great Raven" [Li Fan, ch. . 139, p. 1005]. Obviously, behind the everyday name was hidden symbolism of entirely different type. In the epos “Kitab-i dedem Korkut”, all royal Oguzes traced their descent from a mythical bird Tulu/Dulu [Bartold, 1962]. The “Gold (Kagan’s)" clan of the ancient Türkic dynastic tribe Ashina (< Hot. -Sak. ashsheina “blue”, "dark blue”)was called Shar-Duly (< Middle Persian zarr duli “Golden bird Duli”, "Golden/Red Raven”). In that clan was born prince Kül-Tegin. In the glabella part of his sculpture in the Husho-Tsaidam enclave (Northern Mongolia) his headdress is embroidered with a bird with wings spread like an eagle [Sher, 1966, p. 19, Hayashi, 1996, p. 264, compare Ermolenko, 1998, p. 96], personifying a Raven. The name Kyzyl Karga was also imprinted in the Türkic toponymy. After arrival in Kucha (now SUAR Chinese People's Republic), M. M. Berezovsky's 1905 expedition went to the Kyzyl-karga district where it found ancient manuscripts [Litvinsky, 1988, p. 32, note]. In the Usun myth, Uechjies killed Nandou-mi, a father of Sun-god Hunmo. Hunmo was born after the death of his father, and was left in the steppe. This plot became widely known after Sima Qian composed his “Historical notes”. It was used by the scholars of that time as a historical parallel to prove the divine essence of the Chjoustan ancestor Houtszi, reportedly born without a father, by a divine intervention. Using for that purpose a “Sünnufilian" version of Sima Qian, a philosopher Van Chun (27-97) wrote (in E. M. Yanshina translation): “The van (leader) of the grandsons of raven (Usuns) was named Kunmo. Sünnu attacked and killed his father, his mother gave birth to Kunmo. He was abandoned in the steppe, ravens brought him meat in their beaks to feed him. The head of the tribe was amazed by that and decided that he is divine, took him and brought him up. . . Houtszi should not have been abandoned, therefore the horses did not trample him, and birds covered him with their wings. Kunmo should not die, therefore ravens brought him meat and fed him" [Yanshina, 1984, p. 81-82]. The role of she-wolf is clear, she is a deity of fertility and earth-water, a Dragon embodied as she-wolf. In the Türkic genealogical myth the same functions bore she-Dragon - she-wolf. It is important that the Raven - Sun feeds him with meat which is a flesh of the totem. In other words, Hunmo is a terrestrial embodiment of the Sun god. This is also reflected in his name. The hieroglyphs С11918, 8428 (昆莫) khun-mo (< γuən-mak/guan-mak), with the standard transmission of the transcriptional final -n of the foreign sounds, and also -r, -l, with -n, ascend to a appellation *hvar-baγ/*hvar-bag and corresponds to the Iranian hvar-baγ/hvar-bag “Sun-god”. The contemporaries knew and remembered the divine essence of Khunmo. In addition to the conclusion of the tutor, who construed that the baby was a god, the head of the Sünnu, as stated the “Historical notes”, also regarded him to be a god [Sima Qian, ch. 123, p. 1140, f. 9b]. Once, a Sünnu cavalry was sent to a war against Usuns. But the troops refused to fight and “left" because the Usun army was headed by the god (Shen) Hunmo [Ban Gu, ch. 61, p. 750, f. 4а]. It is believed that the western area of Usuns was a valley of the river Ili. In the west Usuns bordered the Kangar state (Ch. Kantszüy/Kangju) in the valley of the Syr-Darya river. This proposition does not consider substantial circumstances. The source tells that between Usun and Kangju countries was a state Ushan-mu, in conjugal relations with Sünnu leaders: “between Usun and Kangju was a small state Ushan-mu" [Ban Gu, ch. 94а, p. 1127, f. 37b, Bichurin, 1, p. 85]. North from Usun was a state Ile which Chjichji-shanyu intended to attack [Ban Gu, ch. 70, p. 85, f. 82]. It existed at least until the 4-5th centuries (see section Yantsai below). In the Chinese annals this was the name for the river Ili [Malyavkin, 1989, index]. But in the descriptions of the Usun country the river Ili is not mentioned. Northwest (should be “northeast"?) of Usun was a state Üeban/Yueban (Urpen, Orpen) [Li Yanshou, ch. 97, p. 1292, f. 14b-15а, Bichurin, 2, p. 258-259]. In the beginning of the 8th century still remained a toponymic trace of that state in the name of the district Orpen or Orpün. Probably, the eastern part of that country was the district Urbün (Tuva). There happened a battle of Eastern Türks with the troops of the Chik people, who lived in the territory of modern Tuva. The question of localization of the western Usuns' state remains unresolved until present. Specialists on the sources concordantly correlate it to the Dzungaria territory [Kryukov, 1988, p. 235, with historiography of the problem]. The story is designating precisely the location of the Usuns/Asmans, living “together with Great Uechji" “between Tsilyan (Qilian) mountains and Dunhuan”. Tsilyan (Qilian) mountains is a Richtgofen ridge in Nanshan mountains. Probably in the Ban Gu version the words of “Historical notes”, read “and the former lands of (prince) Hunie are vacant" instead of the “former Hunmo lands are vacant”, can be embraced as sufficiently proven [Sima Qian, ch. 123, p. 1141, f. 10а]. The subjects are the Uechji lands seized and annexed to Sünnu, and the Uechji princes Hunie and Sütu in service of Sünnu. In a battle with Han armies (121 BC) they lost some tens of thousands killed, and Shanyu recalled both of them to his court to execute them. The princes did not return to the court, and instead of executions chose to become Han subjects. But in the last moment, Sütu changed his mind, and Hunie killed him. Hunie with his tribe went to the Han’s territory, where he was given 10 thousand households “for feeding" [Ban Gu, ch. 17, p. 146, f. 4b]. The Hunie tribe in the middle of the 2nd century BC coached in the middle part of the Gansu province, where the Hans later created districts Chjanie and Tszütsüan. The name of the tribe and the name of the prince С4324, 3588 hun-e (< γuən-na/guan-na < *hvarna, hvarana) corresponds to the name of the haurana Scythians, and to the Haurana city in beyond-Imeon Scythia of the Ptolemy “Geography" (VI, 15, 3-4). Hvarana of the Chinese source is an Iranian symbol of royal fortune hvarənah/hvaranah, emanation of the Sun - hvar [Dushesne-Guillemin, 1962, p. 203-204]. With a large dose of probability can be assumed that the Hunie (Hvarana) tribe was a tribe of the priest-keeper of the royal farn (karma? luck? - Translator's Note). Precisely there, to the Uechji's central lands, the Usun (Asman) Hvar-bag (Hunmo) was asked to return. Prince Sütu and his tribe coached east from the tribe Hunie (Hvarana), in the area of ancient and modern district Uwei/Wuwei in the Gansu province [Shiratori, 1930], the transcription С8851, 2643 sü-tu (< khiəu-da < *xuda) ascends to the Iranian term khuda “god”. The description of that tragical episode, when Han’s armies under command of Ho Tsüybin in the 121 BC killed and took prisoner some tens of thousand of Sünnu (Uechji flying the Sünnu flag! ), says that at that time was seized (cast from gold or plated with gold) portrait of a gold man (tszin jen), in front of which the prince Sütu (Khuda), “made sacrifice to the Sky" [Ban Gu, ch. 94а, p. 1118, f. 20а-b, Bichurin, 1, p. 65]. Is known the history of his son, he received a surname Tszin - “Gold”, and name Jidi, he went from being a stableboy to a closest man to the emperor. The sculptural group of the royal clan U also had his portrait [Chavannes, 1893, p. 26-27]. Probably, the Hunie (Khvarana, Khvar-bag) and Sütu (Khuda) tribes represented the solar fraction of the state. The following message is not clear if it refers to the same, or absolutely different “Golden man”. In 31 BC Han's court through its viceroy granted (returned?) to Usuns the Golden man [Ban Gu, ch. 96b, p. 1169, f. 7b, Küner, 1961, p. 91]. A similar image was found in the area of the Issyk city of the Alma-Ati province, and by now it has gained a world fame. Its ideological importance is shown in the monograph of A. K. Akishev, who characterized it as “cosmocrator and demi-urg, a warrior embodied as antropomorphic Cosmos" [Akishev, 1984, p. 82]. In 250 years (approximately in 177) this tribe is mentioned by Ptolemy (VI, 15, 3) next to Khaurans Scythians under a name of Khut Scythians. Written sources do not allow to definitely discern the family and community form in the Asman (Usun) society, though the fact of Asman (Usun) departure from a gynocratic state is an indication of the change, it could not be a result of one-time migration. In this sense the figure of Butszü-sihou who in the genealogic myth takes the newborn, worries about his food, and comes back to Sünnu (in this case they undoubtedly are Uechji in the Sünnu confederation) is indicative. No one stops him. That means that he was a “trustee father" (Ch. fu-fu), with a right to take a newborn. Only a blood brother of the mother, the uncle on the maternal side, like a mother in a male embodiment, has such right during a transition from maternal-rights family to patriarchal family. In ethnography this phenomenon is called avunkulate (from Lat. Avunculos “uncle”). Along with theoretical understanding of this phenomenon [Levi-Stros, 1985, p. 41-47, Outlook (Ru. Mirovozrenie), 1989, p. 40-46], there are studies of the factual ethnographic material [Kosven, 1948]. At that stage the man does not move any more into the house of his wife, just the opposite, he takes her in his house ("in marriage”). The matrilocal spousal residence is replaced with patrilocal one. But at the same time the wife and her children retain their affiliation with the former maternal family and clan. At that time the maternal family is already headed by a man, a father or a brother of the woman given into another's family or clan. In such system the uncle on the maternal side is regarded as the real father of the child, instead of the blood father. And although a mother remains in the husband's house, her children (sons) “return home”. The blood father and his relatives are obligated to turn the child over to his uncle, “return" him to his family. M. O. Kosven called this order “return of the children”. The first literary message about avunkulate belongs to Tacitus (Germania, VIII, 18-20). F. Engels on this occasion wrote: “Crucial importance has one place in Tacitus where it is said that the brother of mother looks at nephew as at a son, the some people even think that blood bonds between uncle from the and nephew are more sacred and close than connection between father and son, so when hostages are demanded, a son of a sister serves a better guarantee than the own son of the man who warrants a guarantee. Here we have a vestige of the clan organized by a maternal right, hence the initial stage" [Engels, 1975, p. 152]. The nephews were all-powerful and used exclusive privileges in the family of the uncle on the maternal side. Relicts of this custom are also known at present. According to the Kazakh common law, nephews could take anything from relatives of mother up to three times [Argynbaev, 1975, p. 35]. In the Kyrgyz past, the nephew on mother side at a feast at an uncle or grandfather could take any horse from their herd, take any delicacy. Even survived a proverb “Better come seven wolves than one nephew (from the mother line)” [Pokrovskaya, 1961, p. 52-53]. Butszü-sihou “returned home" the newborn “god - sun" Hunmo”. The word С5651, 8697 sihou (<*khiəp-g’u) is a title. The second hieroglyph С8697 hou (<g’u) of this transcription in ancient Chinese language meant a title of second hereditary noble of the five upper classes. F. Hirth has successfully compared the transcription sihou (<*khiəp-g’u) with a title yavugo on the Uechji -Kushan coins from Kabulistan and yabγu of the ancient Türkic monuments [Hirth, 1899, p. 48-50]. This title is first of all an Uechji title, or, in the opinion of the eminent scientist, it is a “true Tocharian” title. In the 11 BC an Uechji from the Sünnu state fell in the Han captivity, he was a “chancellor" (Ch. syan) with the title sihou (yabgu). After 4 years he returned to the Sünnu shanyu. Shanyu gave him his former post of a “second (after Shanyu) man in the state" and retained the title sihou (yabgu). The bearer of this high title did not belong to the Sünnu dynastic line, described in detail in the sources and is well-known. Probably, he was a member of the numerous Uechji autonomous diasporas in the Sünnu confederation. This history suggests that in the Usun (Asman) state Butszü-sihou was a yabgu. The word С6492, 12983 butszju (<*pwo-dz'iog) can correspond to a title bhozaka (Bhojaka) on Hephtalite coins of Zabulistan. Bhojaka, or Great Bhojaka is one of the names of the great solar god at Saks of India, meaning “savior”, "deliverer" [Ghirchman, 1948, p. 44-46]. The assumption about the existence of the Uechji autonomous diasporas in the (Usun) Asman state is based on facts. First, it is a direct statement of the chronicler that in the state “live the tribes (chjun) Se (sak) and Great Uechji “[Ban Gu, ch. . 96b, p. 1166, f. 1b]. In the (Usun) Asman state were Uechji sacral symbols and Kuyan areas (Ch. Tszüyian, “Milky Way”)and Akas/Akasa (Ch. Eshi, a residence of queen of the Moon). The mass migrations of the nomadic tribes carried with them the names of theiir gods, and the former names of the holy areas turned up in the new lands. The areas С4297, 11347 Tszüyian (Kuyan) and С14521, 6579 Eshi (Akasa) also turned up in the Usun (Asman) country. They are written by different hieroglyphs than the standard designation of the Edzinagol names, demonstrating by that a different location, but the episode in which these names show up are again connected with the queen. Mindful of a frontal attack by the Han armies, in 73 BC shanyu sent an envoy to the Usun ruler, with a demand to surrender to him a Han princess given in marriage to the ruler, so that her presence at the capital would protect them from danger, and thus deprive the hostile Usuns of the help from the Han. The princess refused categorically, and asked the emperor to take military measures. In response, Sünnu captured the Usun provinces Tszüyian and Eshi [Ban Gu, ch. 96b, p. 68, f. 4а, ch. 94а, p. 1125, f. 33b]. Where the Uechji chancellor Bojaka-yabgu (Ch. Butszju-sihou) was returning to, with a newborn god on his hands, becomes clearer now. Probably, the lines that Hunmo had more than ten sons was a continuation of the theme about throne succession and type of family. The allusion to the “ten sons" of the ruler is a statement about the military-administrative structure of the state based on a decimal system. The description continues: “The middle son, Great Lu, was strong (by character). He was a good military leader, he headed an army of 10 thousand (and more) horsemen and lived separately. A senior brother of Great Lu was a successor to the throne, and the successor to the throne had a son Tsentszou. The successor to the throne (before death) told Hunmo: “Declare Tsentszou (after me) a successor to the throne! “Hunmo agreed out of a pity (to the dying). Great Lu was angry. He called his senior and younger brothers, rallied people to a mutiny, and intended to attack Tsentszou. Then Hunmo gave Tsentszou 10 thousand (and more) horsemen and ordered him to live separately. Hunmo also had 10 thousand (and more) horsemen for his own protection. The state was divided into three parts. The general authority belonged to Hunmo" [Ban Gu, ch. 96b, p. 1167, f. 2а, compare Küner, 1961, p. 76]. Tri- partite division is typical for the nomadic states. It is based on a military principle of attacking with left and right wings or flanks, led by the center, and similar formation during multi-group encircling hunts. In each wing, members of the tribes belonging to it were stationed in exact hierarchical order, depending on the place occupied by them in the traditional structure. The Sünnu left (eastern) wing had a privileged status, there was a successor to the throne, there was the residence of the queen. In the 7th century, such was the ten-arrow Western Türkic Kaganate, which was located “on the lands of the former Usun (Asman) state" or “on the former Usun lands”. The backbone of the Kaganate consisted of ten Türkic tribes, five in each wing. The first in the list of tribes of left (eastern) wing is listed a tribe Ulug-ok/uk, which was a conjugal tribe of the Kagans from the western branch, from the “celestial-blue" Ashina tribe. The social-official term ulug (Ch. Hulu < γuo-luk < uluγ “great”, "senior”)is found in the Ashide tribe (< *ashtaq, see section 2) in the Second Türkic Kaganate. It was a tribe of the co-ruler chancellor and katun queen, the spouse of the Kagan from the Ashina tribe. Only Ashina offspring on the father side and Ashtak offspring on mother side could inherit the Kagan throne. Succession to the throne followed the established so-called “brotherly family" along the line “senior brother - younger brother - nephew (a son of the senior brother)”, with compulsory participation of the queen's Ashtaks at each step of the sequence. The Queen and chancellor held a decisive vote in the election of the Kagan, performed in accordance with the norms of the “brotherly family”. The Ashtaks represented the lands and people of the state. The bearers of the title Ulug had a position of “chancellor”, "vizier”, "state elder" in the later times also. For example, in the archaic text of the “Turkmen’s Family Tree" (17th century), the “ruler of the state" (il ulugy) was a mythical Dib Bakui, a son of Amuldja-khan [Kononov, 1958, p. 39, line 151]. The son of the elder (ulug) and aksakal ("white-bearded" - Translator's Note)of Uigurs, Erkil-hodja, was a vizier of Kün-khan ("Sun - khan”): “Kün-khan appointed him a vizier and followed his advice until his death" [Kononov, p. 49, line 473-474]. The above source allows to uncover elements of the twofold scheme in the Usun (Asman) state. Pointing directly to tri-partite makeup presumes a presence of a left (eastern and prestigious) wing, a center (ruling base) and right (western, generally younkers and military) wing. Both annals noted left (eastern) and right (western) military leaders, and other similar rank positions [Tszyan Botszan, et al. Lidai. . . , 1 , p. 408, 414, Küner, 1961, p. 73]. The second man after a Supreme ruler is called a chancellor (Ch. syan) Great Lu. Ancient Chinese sound of hieroglyph С9509 Lu (< luk ~*luk) can be viewed as an incomplete transcription of the already familiar Türkic term uluγ “great”, "senior”. Examples of such incomplete transcription of this particular word are found in other Chinese texts [Hamilton, 1955, p. 85, 158-159]. Thus, the preceding word Da “Great" (in a combination Da lu “Great Lu”)is a calque translation of the Türkic ulug. 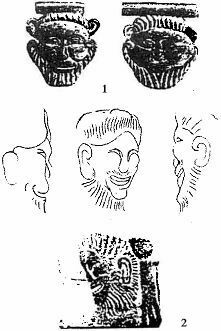 The Western Türkic Ulug was a head of a tribe Ulug-ok/uk, a martial partner of the Kagan “celestial-blue" Ashina tribe. The tribe Ulug-ok was a first among the five tribes of the left wing in the Western Türkic Kaganate. The Usunian Great Lu (Great Ulug) is named as a middle of ten “sons”. Because of the uniformity and prevalence of the common scheme, identical in its basis, it can be concluded that Usun Ulug was a member of the five-component left wing, and his tribe was in conjugal relations with the “heavenly" tribe of the Usun (Asman) ruler, it was a queen and Türkic-speaking tribe. It should be noted that lexicon of the Chinese and other written sources about neighboring peoples was mainly of military-political, historical, and cultural type, the exceptional mobility and penetrability of which are also well-known today. When an ancient term for differently-lingual people, tribe, or men, is reconstructed according to historical-phonetical developmental trends of the language (in this case Chinese) of a document, for identifying the language of its bearers the term is far from ever being a reliable evidence. Jordan wrote “Everyone knows and pays attention, how much the customs of tribes accept the names: Romans accept Macedonian, Greeks accept Roman, Sarmatians accept German. The Goths mainly borrow Hunnic names. " [Jordan, 1960, p. 77]. Therefore the studies of the Uechji and Usun language, made a century and even half a century ago on the level of science at that time, and without consideration of the related material, can't be taken as fundamental in attribution of these languages, though it would be wrong to reject a rational grain contained in them, if this grain exists. Quite a different matter is the base lexicon, to which belongs the Türkic term uluγ, supplied with a Chinese translation and semantically justified as “big”, "great”, "senior”, "elder”. The same should be stated about the ordinary for the steppe nomadic term böri “wolf". An opinion used to exist that it was borrowed from the Iranian languages (Avest. wahrko, Sogd. wyrk, etc) and “could not be explained by means of the Türkic languages" (V. Bang). G. Vambery explains it from bör, bor “grey" [Vambery, 1879, p. 202], “that in phonetic, and in the semantic relation does not cause pointed objections" [Scherbak, 1961, p. 31]. P. Budberg, L. Bazin and V. P. Yudin hold it as Proto-Türkic [Bazin, 1950, p. 248, Yudin, 2001, p. 284-285] (whether it comes from Nostratic, Türkic, or Persian, the word “Böri”, and its derivative personal “Boris" were deeply ingrained in the Türkic titulature and personal names, and penetrated most of the surrounding peoples to a degree that presently “Boris”, derived from “Böri”, is an international name with royal repute - Translator's Note). In the Usun (Asman) genealogical myth, the most important is the image of a wolf wet nurse. The name С5261, 1434 Fuli (< piu-lyie < böri) is widely known. First of all, Bori (Ch. С5215, 1434 Fuli < piu-lyie < böri) is a name of a tribal branch in the Uechji queen realm in the Edzin-gol (Tszüyian) valley, headed in the 119 BC by the governor Bori (Fuli-van) with the name Chantulo (compare Sanskr. candra “moon"), who surrendered to the Han, and for that received a title Hou and a district Syanchen. His former Fuli district was apparently transferred to a Han military leader Lu Bode, who constructed there a fort Chjelu-sai [Sima Qian, ch. 20, p. 342, f. 86, p. 343, f. 9а, Bichurin, 1, p. 72, 3, p. 23]. Hence, the image of the dragon-she-wolf wet nurse depicted a lunar Uechji woman. The same name had one of the Usun Hun-mi [Ban Gu, ch. 96b, p. 1169, f. 7b]. In an ancient Türkic genealogical legend a she-wolf plays the role of the wet nurse and pra-mother. Her name is written with completely identical hieroglyphs С5260, 1434 fuli (< piu-lyie < böri), and ia accompanied with a translation “lan” “wolf, she-wolf”. In memory of their descent from the she-wolf, the leib-guardians of the Türkic Kagan were called fuli/bori, and over his court court flew a banner with an image of the wolf head [Linghu Defen, ch. 50, p. 425, f. 4b]. A leader of an autonomous ulus of the Kaganate had a title Bori-shad (Ch. Boli-she) [Lü Süy, ch. 1946, p. 1436, f. 1b], and soon after that the same title had a Türkic viceroy in the subjugated Kai (Si) state on the banks of the river Shara-muren [Ouyan Sü, ch. 215а, p. 1501, f. 8а]. One more Bori-shad (Boli-she) “guarded" the dependent Tocharian state Yantsi (Karashar) [Lü Süy, ch. 1946, p. 1445, f. 3b], and the father of the Western Türkic Aru-Kagan (Helu) was *Er-Bori-Shad Yakuy-tegin [Ibid, p. 1446, f. 4b]. The “General Codex" recorded: “Sometimes (the Türks) establish fulin (< piu-lien < börin), i. e. kagans. Fulin is a name of a wolf, because of their avarice and propensity to murder they are given such title" [Du Ü, ch. 197, f. 6а].
. . . A son could not inherit his father, therefore Hunmo ostensibly only “out of pity for the dying" successor to the throne agreed to transfer this post to his son, which caused a fury of the Great Ulug, his relatives, and people, who had taken to arms. The arbitrary decision of the supreme ruler to institute a new principle of inheriting the throne by the line “father - son”, bypassing the queen (maternal) Ulug tribe, did not gain support and was rejected at that time. Soon after describing this episode, the chronicler narrates: “Hunmo was old, and the state was divided. Hunmo could not rule on his own”. Still, Tsentszou became a supreme ruler, but after his death the supremacy inherited not his son Nimi, but his younger brother (?) Venguimi. After Venguimi death, the throne also passes not to the son of Venguimi, but to Nimi, a son of Tsentszou. This sequence shows that the “brotherly family" institute continued, comprising in the succession to the throne the union of paternal and maternal lines. An important section of the East - West trade road passed through the Usun (Asman) country, and trying to entrench in it, the Han court endeavored to coax Usun elite to orient only on the Middle Kingdom, using military pressure or collaboration, and generous gifts and payoffs to upper chieftains. An important tool in that was marrying the Han princesses to Usun rulers. The structure of intertribal relations started changing profoundly. The throne, established on the principles of “brotherly family”, was an embodiment of a concept “land + people + ruler”. But the influence of the ulug chancellor declined. In the 11 BC a gold seal with purple cords was taken from the Great Lu, and replaced with a copper seal with black cords [Ban Gu, ch. 96b, p. 1170, f. 80]. The court undertakes measures to liquidate the institute of “brotherly family”. In 64 BC, when the mentioned Üanguimi did not receive the Supreme throne from his father, the Han court sent to Usun a dignitary, to express a displeasure. The succession to the throne began go by a descending line “father - son”, and each of the rulers included in their title a word “Hun" (Hvar, “Sun”). Neighboring the Usuns lands, Ptolemy names “Akasa area" [Piankov, 1988, p. 194]. The Hans knew it under a name “cruel deity" С14524, 6529 Eshi (< ak-si). This district was also included in the Usun (!) possessions, and in 74 BC the Sünnu, demanding surrender of a Chinese princess, captured that district [Ban Gu, ch. 94а, p. 1125, f. 33b, ch. 96b, p. 1168, f. 4а]. This name is repeated in the name of an Utigur queen, Akagas, in the report of the Byzantian ambassador to the Türks Valentine in 576 [Menandr, 1861, p. 418, Chavannes, 1903, p. 240]. The Utigurs of Menandr are Uti, associated with Aorses of the Pliny “Natural history" (VI, 39). The word Uti was a real proto-type of a transcription Uechji < ngiwat-tie < uti [Pulleyblank, 1966, p. 18]. In parallel, a tribe Uti existed in the east, in the valley of the river Edzinagol and lake Sihai and Salty (Sogo-nur and Gashiun-nur respectively). In the 416 a ruler of the state Northern Lian conducted a military campaign against Uti. Along the route he made sacrifices at Golden mountain Tszinshan and in a temple of Queen- mother of West Si-van-mu. In the temple was an image of goddess Si-van-mu, sculpted of a black stone. The ruler ordered to etch on the stone a dedication text [Fan Siuanlin, ch. 129, p. 853, f. 6а]. The features of the Uechji goddess-queen are similar to the image of the Asia Minor goddesses Great Mother Cybele, in a form of a silver statue with its face sculpted from a rough black stone, placed in a sacred cart next to a reservoir [Frezer, 1983, p. 330]. Tentatively, it could be asserted that Akasa area was a residence of the Uechji queen. A “common Uechji" symbol was kuyan/gayan (compare Scythian. γaya - “light”, "white”)as a terrestrial embodiment of the Moon and Milky Way. From several hieroglyphic depiction of this word the steadiest is С2109, 11347 tszüiyan < kio-yen. So were called the Uechji main river and lake north from Nanshan (Edzin-gol), as well as the royal clan and the main city of the Western Tocharian (Kocha) princedom Tsütsy (SUAR of the CPR) [Fan Е. , ch. 47, p. 694, f. 4, Huan Venbi, 1983, p. 224-228]. The all-permeating “whiteness" of the short-haired Kuchans was translated into the Chinese language by a word bai “white" [Ouyan Sü, ch. 221а, p. 1552, f. 9а]. One more Uechji sacral symbol was Tsilyan (Qilian) mountain 200 li southeast from Chjanie/Ganjou. It was on a southern border of the Uechji proper possessions. “There are fine waters and excellent grasses, in the mountains is warm in winter, and cool in summer, (these places) are suitable for pasturing sheep" [Yao Weiyuan, 1958, p. 200]. The natives of these mountains also were called with surname С14380, 11148 Tsilyan (Qilian) (*giag-lien <*giglen). About one of “Kiglenians" is said that his ancestors were from a clan of the Noble Woman [Li Boyao, ch. 41, f. 7 a]. In the 5th century a Hunnu surname С14482, 11148 Helyan (< khək-lien) was replaced with Tefu ("Mother”)[Wei Show, ch. 95, p. 1192, f. 18 a-b], though these hieroglyphs could be translated as “iron bridge (cart with dyshl, parents)”. The hieroglyphic rendition of a sacred mountain, a tribe, a noble lady, etc. is different, but their old sound is uniform: *kiehlien, *kiəglien, *gieglien, *khəklien, *khioklien. Their nearest phonetic and semantic parallel is Phrygian kiklen “wagon”, "cart”. So was also called the constellation wagon, the Big Bear. The semantics of this word between the forest peoples of Amur is notable. Evenks call the Big Bear constellation not a Wagon, but “She-moose Heglen" [Rybakov, 1981, p. 54]. The cult of the Phrygian Great Mother of gods, the fertility goddess Cybele was moved from Asia to Rome in April. And the goddess at once took on to work. That year was collected an unprecedented harvest of grain, vegetables, and fruit. On a March 27 holiday “into a wagon drawn by oxen, was put a silver statue of the goddesses with the face sculpted from a rough black stone. The wagon headed by patricians, walking barefoot, slowly adv advanced toward the banks of Almon. There the High Prist, dressed in purple, washed with flowing water the wagon, the statue and other cult objects”. The ablution of the fertility goddess in the river, by concept of J. J. Frezer, was to recall the rain spells, to ensure enough moisture for budding vegetation [Frezer, 1983, p. 327-332]. Accepting the plausible premise about Uechji origin of the image of the fertility goddess Mother-queen of West Si-van-mu presence in the ancient Chinese myth, then it is connected with the remote ancestors of the Uechji “Chariot of clouds" or “Cloudy wagon" Si-van-mu. Her wagon were clouds at the top of Kunlun, and her daughter Yaotszi, white as soya cheese, bathed in the Silver/White river of the Milky Way [Yuan Ke, 1987, p. 367-368]. The “folk- religious" Syr-Darya goddess of water and rain, of child fecundity and fertility Ardvisura Anahita, like her ancient Indian twin Sarasvati, personified the Heavenly river/Milky Way, and was a rain-giver. She stood in a “Rain wagon”, the Thundercloud, from which streams of water dropped on the ground (tata ara “flowing or falling waters”, rain). In her wagon were harnessed four white horses (compare Uechji phrase bo ma “white horses”): Rain, Wind, Cloud and Hailstorm. She is revered with white milk mixed with white Haoma juice [Lommel, 1954, p. 405-413]. It is a general of Uechji proto-type of a cloud wagon-kiglen, and of the fertility goddess in the Nan Shan mountains, which in its Uechji part (Richtgofen ridge) were called Kiglen (Qilian). After in the 121 BC the Han military leader Ho Tsiuibin captured from Sünnu (Uechji in Sünnu confederation) these lands, they sang sadly: “The loss of our Tsilyan (Qilian) mountains caused all our domestic herds to cease to multiply" [Tszyan Botszan, et al. Lidai. . . , I, p. 53, Taskin, 1968, p. 147-148] (Chinese Wikipedia explains that “崑崙" (Kunlun) was an ethnic label during Tang Dynasty for the China's “black-skinned" immigrant residents from Indian sub-continent and South Pacific islands. Thus, the toponym Kunlun has a connotation “Indian”, or considering that in the 17th-16th c. BC the Shang Empire is linked with dark-skinned Dravidians, has a connotation “Dravidian”). The image of the fertility goddess in a cloudy chariot was also alive in the ancient Türkic time. The lands where the Ashtaks (Ashide) Khatun (queen) fraction of the Kaganate was placed was Tsilyan (Qilian) area. The Tangut state Si Sya, which history was considered to be a continuation of the history of ancient Dasya-Tochars, was not only white, but also high [Kychanov, 1968, p. 54-55]. It was a “State of white and high Dasya-Tochars. The strong bridge it begins. [Nurmagambetova, 1988, p. 35, 80, 86]. A hero named Kan-Kyoklen is known in the folklore of the taiga Tatars (Tuba-kiji) in Altai. In a legend “Barchyn-byoke" it is a bogatyr (mighty man) born in a black cave of a black mountain. He is homeless, is married to flying in the sky Biyan-Sula, a daughter of Abra-Dienis (abra “wagon”, "cart”). Ina battle he is victorious over hostile “seven küler-khans" [Baskakov, 1965, p. 282-338]. To compose a view about Uechji pantheon, should be addressed more closely the annalistic news from the earliest time when the Han acquainted with Uechji, and the Han imperial court saw them as potential allies in struggle against Sünnu. In the 1925-1926, an expedition under direction of P. K. Kozlov excavated an ancient burial in the Noin-ula mountains 60 kms from Ulan Bator (Northern Mongolia). In richness and significance of the finds, this excavation belongs to the most important archeological discoveries of the 20th century. The most prominent of these finds in color reproduction were published by K. V. Trever [Trever, 1933]. Its analysis was made by S. I. Rudenko (1937) and other scientists. The magnificent gold and silver ornaments, embroidered silk fabrics, carpets with scene images of cosmogenic character have analogies extending to Asia Minor. The ethnic attribution of these and numerous similar materials is difficult because of the lack of any direct written information about the population of this area in the first millennium BC. Only composition “My Tiantszy Chjuan" ("Tale about the Son of Sky Mu”)has information about Uechji (ngiw. at-tie) country in the end of the 4th century BC. This information is semi-historical. Its realistic part describes the route of Ulin-van (325-299 BC) [about him see Sima Qian Ch. 110, p. 103, f. 5b-6а, Taskin, 1968, p. 37], a ruler of the N. Chinese state Chjao, and tells that that Uechji country began east from the northern bend of the Huang He river [Haloun, 1937, p. 301, Klyashtorny, Savinov, 1998, p. 173]. At the very end of the 3rd century BC, Sünnu subjugated the northern states Hunüy, Tsüyshe, Dinlin, Gegun and Sinli [Tszyan Botszan, et al. Lidai. . . , I, p. 18, 27] (Hunüy, Tsüyshe, Dinlin, Yenisei Kyrgyzes and Sirs - Translator's Note). Later they conquered the Utsze/Augal state. Probably, Augals, together with Asians, Tochars and Sakarauks, also participated in the storm of Bactria and Sogdiana. But the first and initial point of their migration to the west was the territory of E. Baikal and Big Khingan slopes, not the Nan Shan. It was another branch of the “Uechji”, which united with the Nanshan branch in their movement, initially to the Aral area, and then on to Bactria and Sogdiana. One more branch is noted by later chronicles, “History of Northern dynasties”, "History of Sui dynasty”, new edition of “History of Tan dynasty" [Li Yanshou, ch. 97, p. 1298, f. 25b, Wei Chjen, ch. 83, p. 82, f. 8а, Ouyan Sü, ch. 221b, p. 1555, f. 1а]. They repeat the same text related to Sogd (Kan , compare Sogd. γ'n kwtr'k). The New edition reads: “The clan (of the ruler) Wen from Uechji tribe, in the beginning they lived north from the Tsilyan (Qilian) (Keglen) in the city of Chjao'u”. At the turn of the eras, a district S2205, 11512 Chjao'u (< 'tsiau-miu) in fact existed north from Tsilyan (Qilian). It was located near the district Shandan on the left bank of the river Edzin-gol in the Uechji central area Chjanie [Ban Gu, ch. 28, p. 407, f. 3 a]. A variation of this name can be seen in the С2205, 6965 Chjaomu (< tsiau-miuk). In 658 this word was a part of the title of the Stone kingdom's ruler [Ouyan Sü, ch. 2216, p. 1555, f. 25, Chavannes, 1903, p. 141]. In respect to the northern “Uechji" tribes, in 127 BC and probably during expulsion of the Sünnu tribes from the Ordos (area inside northern bend of the river Huang He) by the Hans, an important Sünnu dignitary (syan “chancellor”), with an Uechji title sihou (yabgu, a leader of a dependent possession), switched to the Han side. He was given a Chinese surname and a name Chjao Sin. “For feeding”, he was given 1680 households [Ban Gu, ch. 17, p. 146, f. 3 b], and he was appointed to command one of the vanguard contingents in the Han army, campaigning against Sünnu north of the river Huang He. Four years later, he returned to Sünnu, taking advantage of a favorable occasion. Shanuy (Günchen, 161-126 - Translator's Notes) restored his former position, the Uechjian Chjao Sin became a “second (after shanyu) man in the state”. Shanuy gave him in marriage his senior sister (daughter?) and “began to consult with him about the ways to fight the Han. Chjao Sin advised shanyu to retreat further to the north across the (Gobi) Desert and lure the Han’s armies to exhaustion, and when their weariness reach its limit, to attack them. . . . Shanuy followed his advice" [Sima Qian, ch. 110, p. 1040, f. 23b, compare Taskin, 1968, p. 53]. The shanyu's residence was transferred to the north of Gobi (to Khangai), and the residence of the “second man" became a “small town" (chen “wall”, in this case a court-residence of a nomadic ruler, enclosed with earthen wall rampart) homonymous with yabgu's name near the Tian-yan mountain in the southern part of Khangai [Tszyan Botszan, et al. Lidai. . . , I, p. 54, Taskin, 1968, p. 54, 91, opposing view: Malyavkin, 1989, p. 120]. The name Tian-yan is not a transcription, but a Chinese translation of the Uechji word meaning a “full face (of the Moon)”, and of the same order with the Uechji “jasper clan" (symbol of the Moon), the Uechji “clan of the Moon”, and the Uechji “clan of the Bull" (symbol of the rising Moon). In the first centuries AD began an active and universal process Türkification process among the steppe population of the Central Asia. The steppe population's ethno-linguistical form was changing, but because of the continuance of environmental conditions, and the continuance of economic activities, the traditional beliefs could not drastically change. A part of cosmogenic symbols gained Türkic appellatives, another part preserved their former (Tocharian - Translator's Notes) appellatives. In any case, the Türkic ethnocultural environment indisputably filled them with a new or renewed contents. First of all, it is the term Uigur with a base Ui/Ud “bull" ascends to the appellation of the rising (bicorn) Moon. The Western-Tocharian name of the bull okso survived in the name oγuz (~öküz) and in the name of the confederation of Türks-Oguzes. About Türks-Oguzes “lunar" origin manifests the Uigur version of the “Oguz-name": “Once glistened the eyes of Ay-Kagan (Moon-Kagan), and she gave birth to a son (follows an image of a bull)”. He was called Oguz, and he became a king of Uigurs. The myth about the birth of Uigurs' ancestor Buku (Тürkic “Bull”)in a tree hollow is well-known. The cosmic tree is a Milky Way, in the “hollow" (fork) of which is born a new moon. The “royal" tribe of the ancient Uigurs was Yaglakar. Its basis yaγla “butter" ascends to the most ancient ritual of anointing the horns of the bull, or to string balls of butter on their tips, before plowing the land or mating, in hope for a plentiful crop and good offsprings. A 9th century Uiguro-Tibetan road guide mentioned a tribe Hi-dog-kas [Bacot, 1956, p. 147]. It is an iduq-qash, a “sacred white jasper”, the Uechji successor of the “Jasper clan" Uti. Near Uti clan was located a tribe led by a strong leader Hi-kil-rkor-hir-kin (Igil kül-irkin). In the Chinese sources they were known in the rendition sitsze (< -γiei-kiet < igil). In the middle of the 7th century they were located on the northern bank of the Helyanchji (< khok-lien-cie < *kheglench, *keglinchi) river, i. e. the River revered as a cloud wagon of Keglen [Van Pu, ch. 72, p. 1307]. The text of the Uigur Eletmish-Kagan monument identified “Igil people" as followers of the Manichaean creed, and consequently thir name Igil is supplemented with a determinative qara ("blackness”)(qara igil bodun, Mogoin Shine Usu monument, line 14). These are the Oguz successors of the Tocharian Utsze - “Augals" (the ancient Central Asian Tocharian Augals become the 8th century Igils/Chigils, and branch up as 7th century Uokil/Vokil royal clan of European Bulgars and handed-down traditional Chigil ancestors of 18-19th century European Gagauzes - Translator's Notes). The name Kuyan (Tszüyian) and Tian-yan “Full face (of the Moon)" are found in the Oguz setting on the slopes of the Great Khingan. A significant group of the Khingan Oguzes received in the Chinese sources an appellative С2690 Si “downpour”, "stream”, and С2658, 2690 Bai-Si “white downpour/stream”. A whole group of tribes called Bai-Si had main religious symbol “White stream" Milky Way (Kuyan). About an origin of the Silver (~white) river - Milky Way as a stream is recounted in a touching cosmogenic myth about oxen shepherd Nülan and a weaver girl Chjinüi. The goddess Si-van-mu lived with her grand daughter weaver Chjinüi, who was weaving light clouds out of silk, on the spurs of Kunlun, on the bank of a terrestrial Silver river Inhe. Kunlun is sometimes identified with Uechji's Tsilyan (Qilian/Keglen) mountains. On the opposite bank of the river of lived a lonely oxen shepherd Nülan, passionately in love with the goddess-weaver. Crossing the river from time to time, once the oxen shepherd attained that she became his wife. Learning about the marriage of a simple shepherd with her grand daughter, Si-van-mu became furious. To end the love encounters of the young, she moved the Silver river to the sky, and scratched it with her golden hairpin. The quiet smooth surface of the river became an insurmountable wild stream. The separated shepherd and weaver suffered so much that they became Oxen Shepherd (the star Altair of Aquila) and Weaver (the star Vega of Lyra) constellations on the opposing banks of the Silver river - Milky Way. The faithful Shepherd till now have not lost his hope to meet his beloved. Every night he tries in vain to drain water from the Silver river with a ladle, to cross to other bank [Yuan Ke, 1987, 108-110, compare Sima Qian, 1986, p. 274]. Probably this beautiful myth about Milky Way Kuyan (Ch. Tszüiyan) was the same among the Uechjies. Among Türks and Mongols it found some new aspects, but the essence of the Kuyan/Kiyian myth remained the same, because later the eponym Kuyan became a name of the mythical ancestor of the Kypchak “Milky Wayans”. These tribes were spread in spots in the territories from E. Baikal [Tsen Chünmian, 1958, p. 751] to the Shar-muren (Silyao-he) river basin in the southern part of the Great Khingan, called by various names, Tszinwei-shan (Golden mountains), Altunkan (Turkic, the same meaning), Tszin-shan (Golden mountains), Karaun-chidun (Black wagon), Len-sin (Cold pass, Mong. Kuiten), etc. Because of the remoteness of that area, information is very poor, and the description of one part of Bai-Si was sometimes ascribed to another. It created a confusion, also greatly helped by modern Chinese, Japanese, European, and Russian researchers . In a course of the Tan's partitioning into administrative districts, in the middle of the 7th century, of the lands that used to belong to the just defeated Seyanto Kaganate, the territory of the tribes who were becoming their vassals were renamed “districts" (Chjou). “The district Tian-yan is created on the (pasture lands) of the tribe Bai-Si. The district Tszüyian is created on (pasture lands) of a separate tribe Bai-Si “[Ouyan Sü, ch. 43b, p. 298, f. 2b, Malyavkin, 1989, p. 24]. Naming different Bai-Si groups Tian-yan and Tszüyian is only intended to distinguish them geographically, not violating the truth, their places could be interchanged, or they even could be joined. In the basin of the Shar-muren (Huanshui), its right tributary Loha-muren, and Lensin mountains, the Si (Bai-Si) tribe lived together with proto-Mongolian tribe С8497 Khi (< γiei~hai < qai), relatives of the proto-Mongoliani Kidan neighbors. Their general characteristic as a whole was dependant on what part of the not always peaceful confederation the information came from. The Uiguro-Tibetan document about them said: “To the east of their country is a tribe which the Tibetians call He (Khi), the Chinese call He-se (Khi-si), and the Türks call Dad-pyi" [Bacot, 1955, p. 145]. The Türks really called them with a word Tatabi (Bilge Kagan, Husho Tsaidam, line 2), ascending to the Iranian *tata api “falling waters" (Avest. tata apo). It helps to reduce the image of the Uechji Kuyan (Milky Way) as a “White falling stream”. During the Mongolian time (13th century), the term kuyan was known in several phonetic versions, including Kiyan. Rashid ad-Din wrote: “Kyian is a stream falling from the mountains to the lowland, fast, rough and strong" [Rashid ad-Din, 1952, p. 154]. From a tribe Kyian (Mongolian plural form Kyiat) came Chingiz-khan. In the histories of Kazakhs and nomadic Uzbeks, all Chingizids are Kyiats. The Türkic name gets also the Chinese designation Tian-yan “full face (of the Moon)”. The Old edition of the “History of Tang dynasty" tells that Khi includes a numerous tribe С3498, 6231, 13377, 3234 dulun getszin (< tuo-liuen kuət-kiən) - *tolun korkin ~ *tolun körk “full face (of the Moon)”. Its army reached 10 thousand men [Lü Süy, ch. 199, p. 1499, f. 13, Tsen Chünmian, 1958, p. 752, Taskin, 1984, p. 367]. It was included in Mongol structure under a name Dolungir [Kozin, 1940, para. 260, Rashid-ad-Din, 1952, I, book 2, p. 91, Poucha, 1956, p. 79, 89]. Far from being exhaustive, this list of tribes and confederations whose pantheon repeated or even explained some features of the Uechji pantheon. Tor example, these are Abzoya, Urbe-Kypchak, and others, the historical information about which is offered below. It can create an impression that the similarity of these features is convergent, and it should be noted that nothing disappear completely.